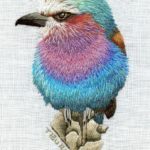 Technology of stitch embroidery, which she uses allows her to create amazing portraits. 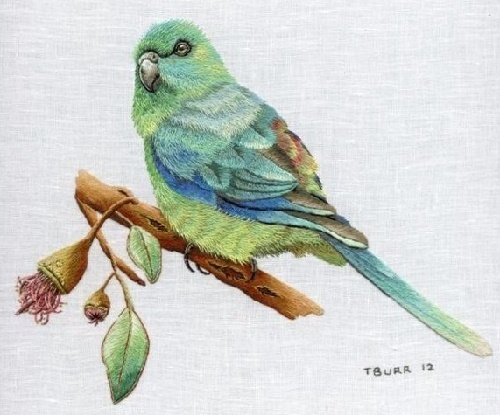 However, the quantity of embroidered paintings is limited, as it is very difficult and time consuming. 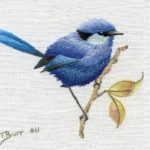 And the lack of time is the main problem for Trish Burr – a wife and a mother of three children. 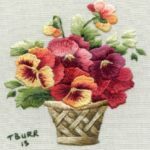 Nevertheless, she has a successful business, teaches the art of embroidery, and writes books and articles for magazines on needlework. 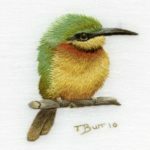 Burr was born in Zimbabwe. 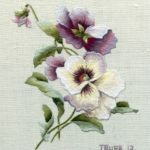 There she got married and had three children. 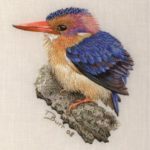 In 1995, after the acquisition of LCA agencies, became involved in the sale of embroidery thread that made her interested in embroidery. 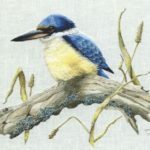 In 2004 the family moved to South Africa. 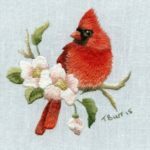 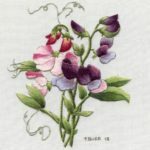 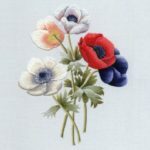 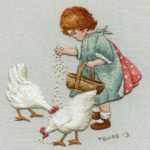 15 years ago, Trish was just starting to learn cross-stitch, and now she is the author of her own technique of creating embroidered patterns. 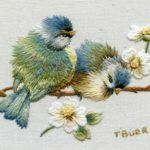 In her opinion, embroidery gives more opportunities for creativity, but only for those who are fluent in the other techniques. 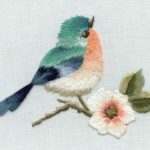 In particular, it is necessary to master many embroidery kits, and intuitively determine the stitch length, or the degree of tension. 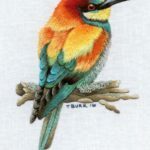 Cape Town based artist Trish is happy to share all the secrets in her books. 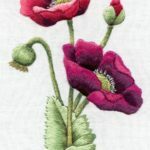 She explains how to properly distribute the shadows to make embroidery pattern look alive, and how to achieve the effect of a three-dimensional embroidery. 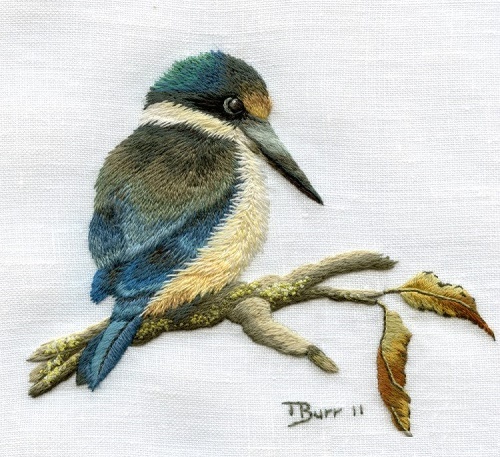 Three-dimensional embroidery by Trish Burr – example of modern arts and crafts on the basis of tradition, saved by the South African embroiderers.